Ensure your office is able to be found by anyone around. Whether your offices are new or old, it's always a good idea to ensure that your business is adhering to ADA regulation in regards to the signs around your office. 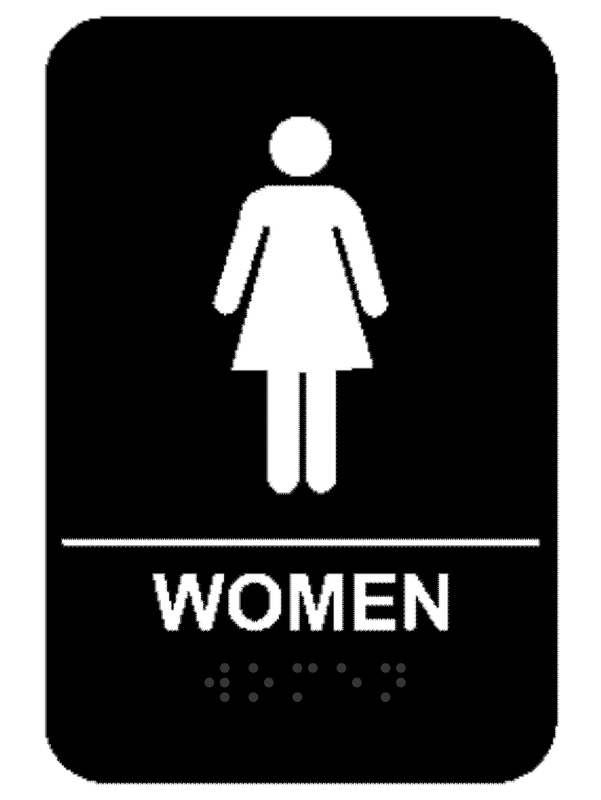 This Women's ADA Restroom Sign is perfect for your office? Get yours today! This sign has rounded corners with an adhesive backing and measures 6 x 9". Recently the ADA has been working to locate organizations that do not seem to honor their sign regulation policies. Be certain that your business venture is not at risk of getting a heavy fine for failing to conform with proper ADA laws. ADA signs are one hundred percent up-to-date with all the latest ADA regulations currently in place by the government. Each sign is constructed in our Florida production facilities and will get free shipping at no extra cost on orders more than seventy five dollars. This particular ADA Women's Restroom Sign will be an excellent add-on to any office building. Order yours today! This sign has rounded corners with an adhesive backing and measures 6 x 9".